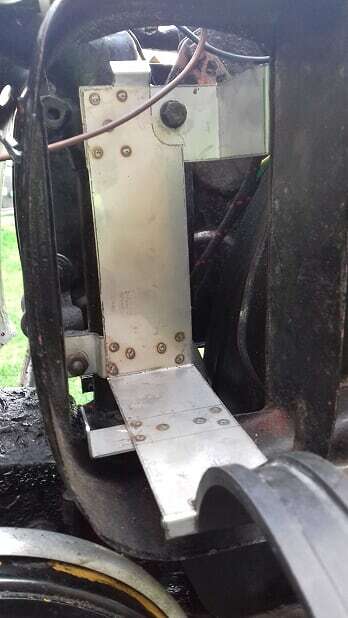 I thought I’d add a contribution to this thread, I’ve bought a few bits and pieces from a chap called John Thomas, and he’s located in the Black Country here in the UK. 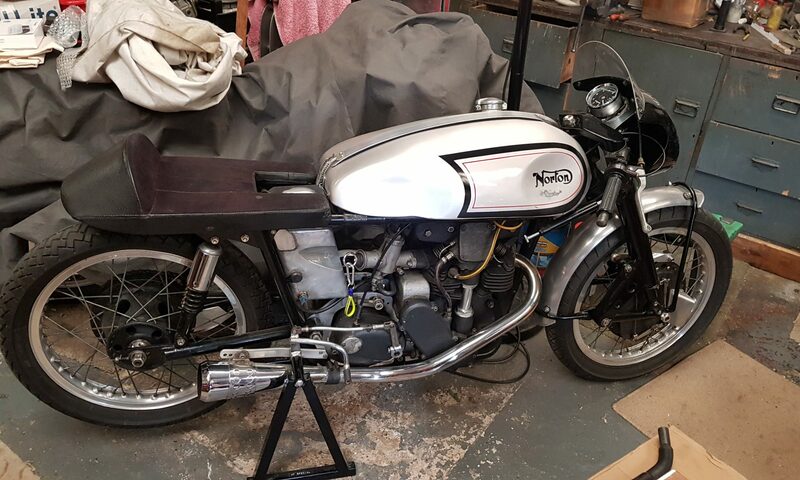 I have had a fair few parts from him for both OIF and pre OIF BSA singles, these include a B44 bash plate (which was so good I bought another for my ’68 250), I’ve had horn brackets, a brake torque arm and a lid for my B50 electrical box. All of these parts have proved to be a good fit, they are supplied un finished so can be polished or painted, all are laser cut so just need the sharp edges removing before finishing to your required standard. I’ve found John to be friendly and very helpful when I have had trouble knowing exactly which part I require so much so I have sent him some of my parts for him to duplicate and add to his range, he also make parts for other marques and some handy tools. Have not received the goods yet but the on-line purchasing process and communication are splendid. and remember: if it’s stupid but it works, it aint stupid! 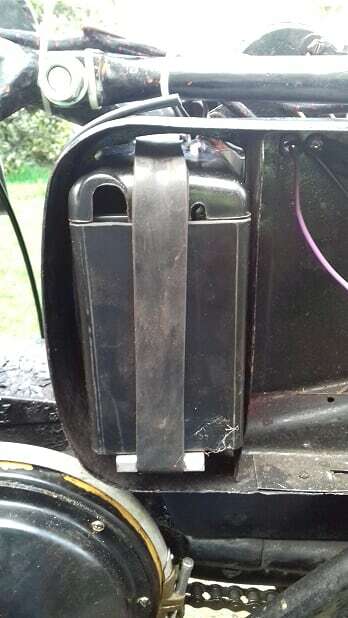 Hi John, thanks for the electronic box mounts brackets and lid, I’ve compared them with originals and they seem good but unfortunately my bike is away getting the exhaust system made, I will get back to you with the results when I can but I’m sure they are great. Cheers John. Ps had another look at the website and it’s looking great..
Hi John. 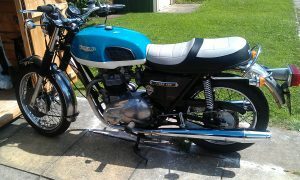 Here are a few pictures of the Matchless battery holder when fitted to a 1957 G80s. 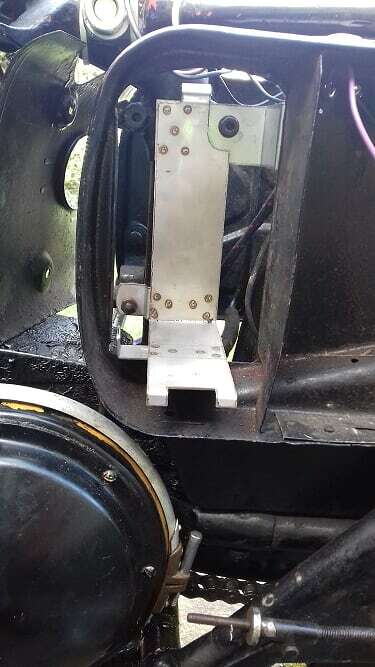 My horn bracket had been spot welded onto my old holder which I managed to remove to fit with the new bracket. It all looks fine to me.